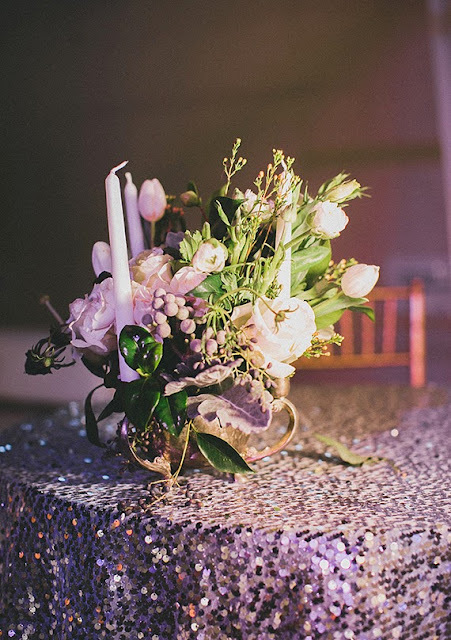 A Wedding Stylist and what we do! I saw this wonderful post on Burnett´s Boards tonight on Facebook and fell in love with the sequin dress and glorious tropical coloured bouquet so thought it would be great to share this with you on our Facebook page. Dare I say having clicked through to the actual link I was left slightly disappointed as there were many elements of this photo shoot that were wrong. I maybe disliked for sticking my neck out here but from a stylist´s and perhaps a bride´s point of view I thought it might be interesting to share my thoughts. Before I detail a few things I would be the first to say that anyone that creates photo shoots to inspire us are fabulous and we are completely in love with the images we have shared above, they are beautiful and up to date with the wedding trends. 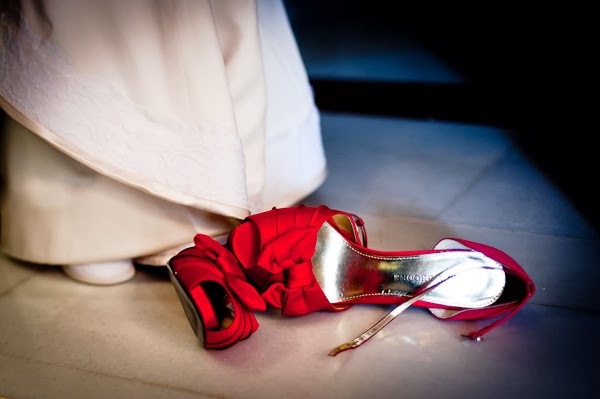 It is also very easy to critique other peoples work but I am looking at this from a professional stylist´s point of view to share advice as to where you can overdo it or go wrong and merely to point out a few helpful hints to brides. 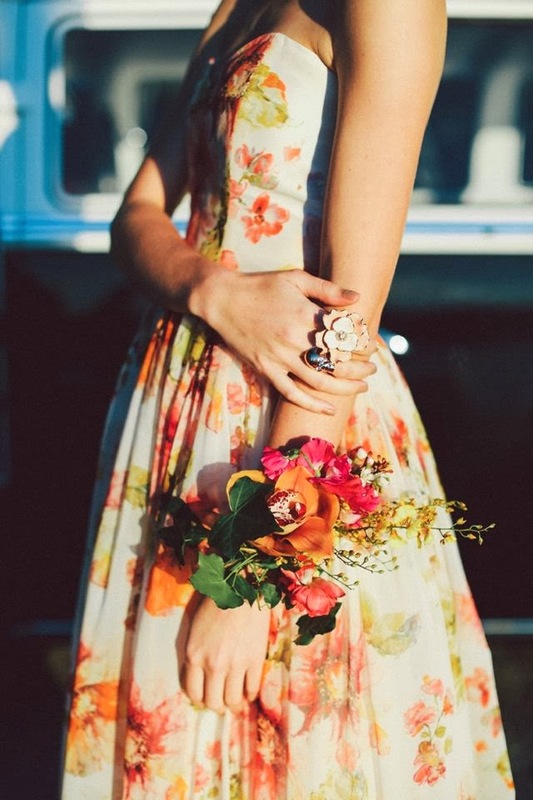 To see the whole shoot do visit Burnett´s Boards Indie Wedding Inspiration to see what I will explain. 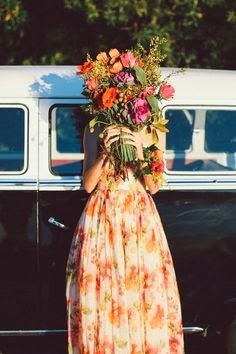 We are in love with this bouquet, it is a beautiful, colourful masterpiece but from a practical point of view if you look at the last photo on this post you will see how big the gathered stems are and the model here is using both hands to hold it up and they are still not wrapped around it. 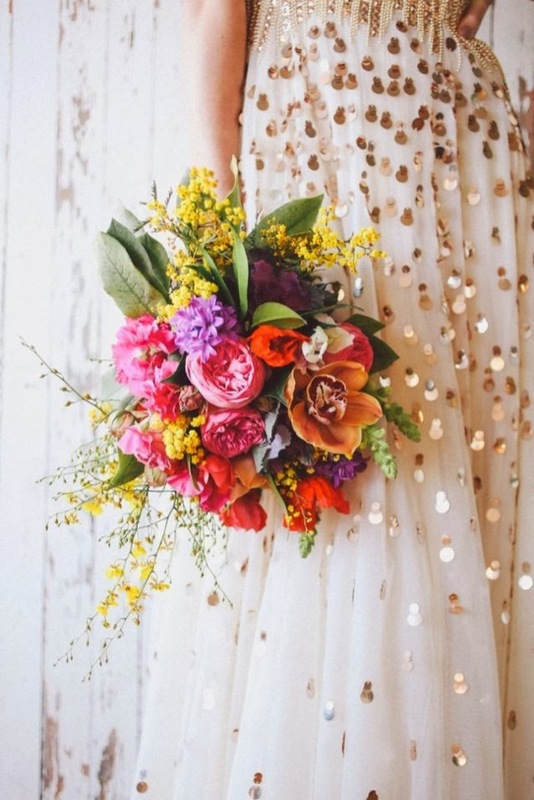 Whilst it is lovely to have a bouquet like this for you wedding, imagine having to hold something like this all day, it is huge and heavy, you would be surprised, so when thinking about your bouquets do be practical as to what can be achieved on the day. The cake is also divine but here in the Spanish heat anything that is made from butter cream or chocolate will melt and any naked cake, i,e without icing, will dry out so do bear all these things in mind when swooning over Pinterest! I was also slightly flummoxed when reading this post as I scrolled down from the beautiful images of the gold sequins and fabulous, albeit, large bouquet and then came to the spray painted gold pineapple, black studs, random earrings and head dress, none of this matched the actual theme and seems to just be thrown in. Perhaps I am wrong and would welcome feedback. 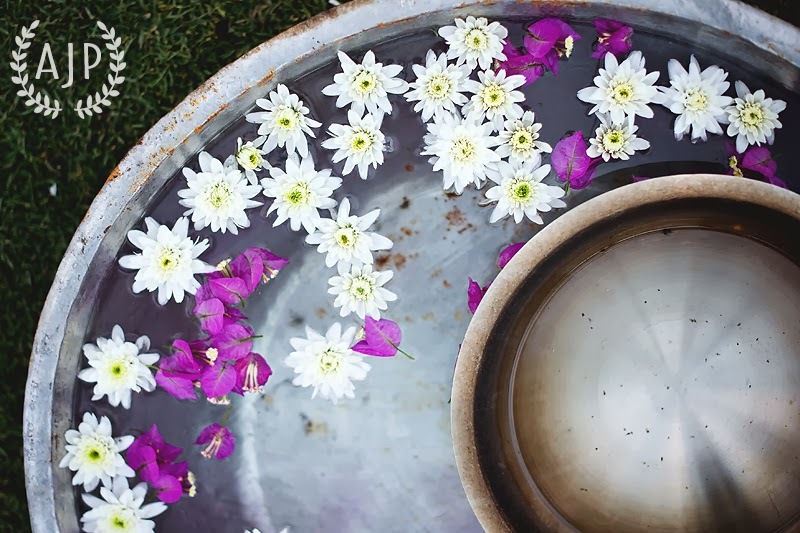 If you are planning your wedding and are not sure how many elements, style, etc to incorporate we would recommend the services of a wedding stylist who can offer you not only beautiful styling but practical advice when planning your day. We can be bossy but we will quickly eliminate the details that just don´t do and bring an elegance and charm to your wedding day! We can do black studs but won´t combine it with a broderie anglaise head dress! 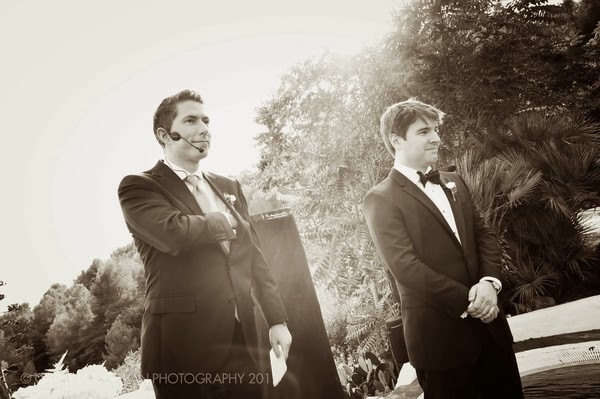 As the long, hot steaming summer came to an end here in Spain our weddings continued into the beautiful month of October. This is one of my favourite months as A it is my birthday! and B after the end of September torrential rains it is always a beautifully warm autumnal month apart from the yearly thunderstorm that seems to wait until my birthday eve. 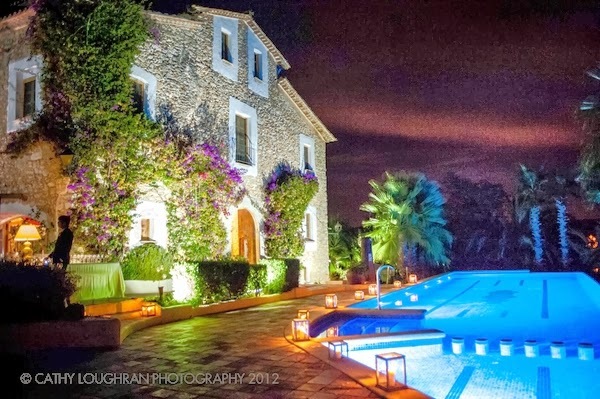 A much calmer and cooler air descends on Spain as we excitedly approach our October weddings. 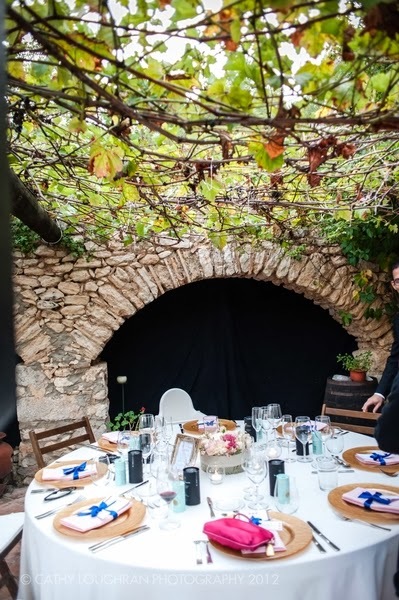 Spanish autumnal weddings are charming and have an feel of elegance and peace about them after a mad hot Spanish summer. 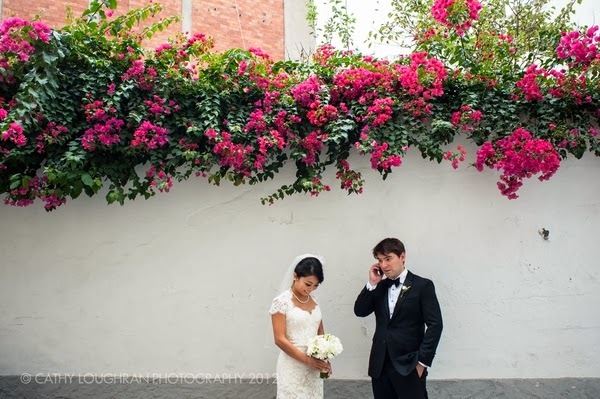 We are delighted to share Kumiko and Scott´s wedding with you held in the glorious Almiral de la Font in Sitges, just outside Barcelona, and their wonderful testimonial we were thrilled to receive. 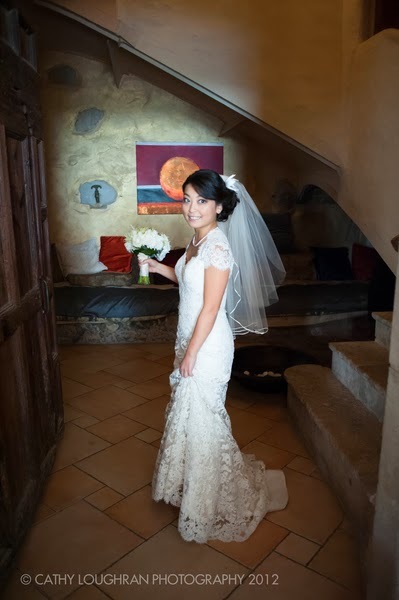 I hope this testimonial will sum up what Reviva´s services mean to a couple trying to plan their wedding from abroad as often I get asked what do we actually do! 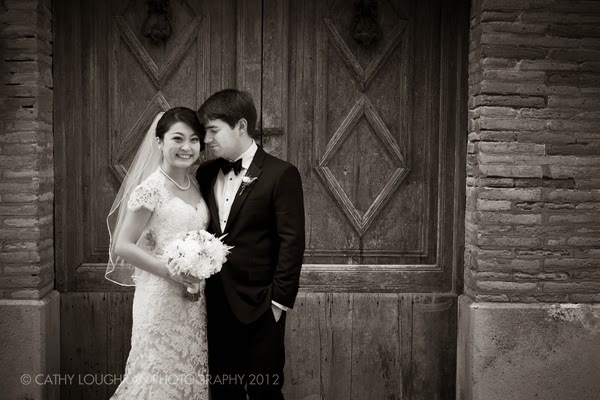 Thank you very much for making our wedding so beautiful, meaningful and memorable! We don’t know how the wedding would ever have happened without all of your help. We must have been a particularly difficult, indecisive and clueless couple when it comes to wedding planning, but from day 1 you had us on track! It is difficult to describe how helpful and supportive you were. In particular, your attention to detail is unparalleled. 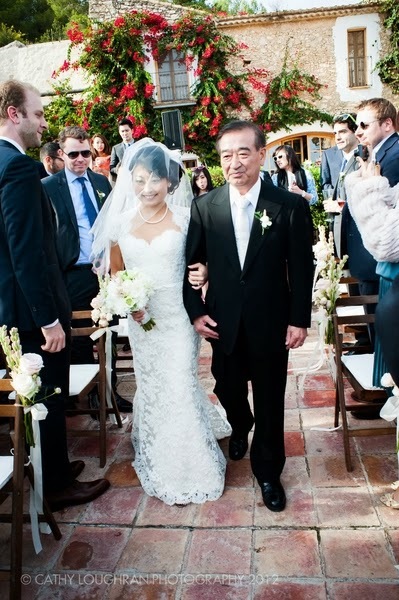 From suggesting and arranging meetings with the vendors and helping us find a restaurant for the rehearsal dinner, to holding our hand through the wedding weekend, we knew that everything was being covered with even greater care than we would have given ourselves. 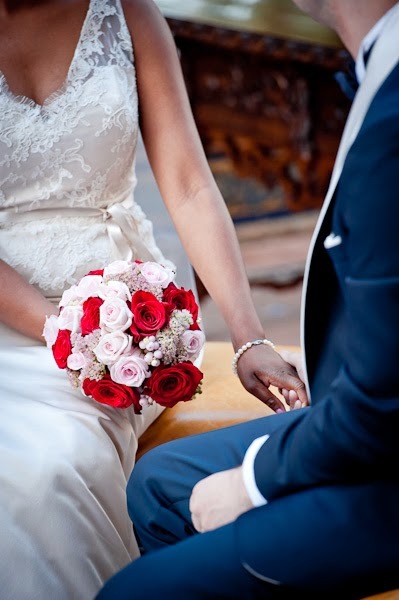 We knew that we could trust you implicitly, which made the planning process and the wedding itself far less stressful. We were truly impressed with your dedication and professionalism throughout. The flowers and decorations for the wedding were beautiful and exactly what we were hoping for. 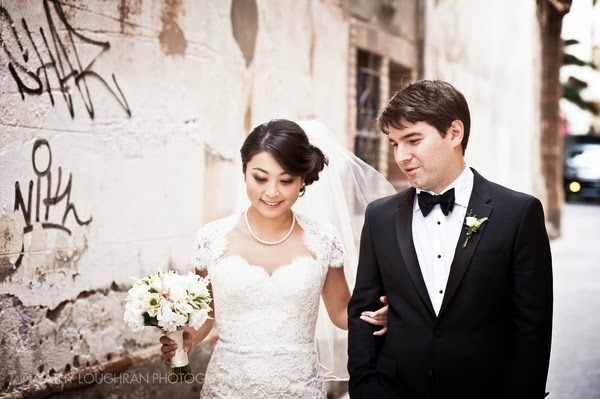 You really understood us and our taste and matched the wedding style to us perfectly. And thank you so much for your patience in working with us on the invitations they turned out beautifully and our guests were truly impressed! All of our guests have said that our wedding was the best, most fun and most beautiful wedding that they had ever attended (and we agree!). They all had an amazing time, and we did as well. We are truly grateful for everything! 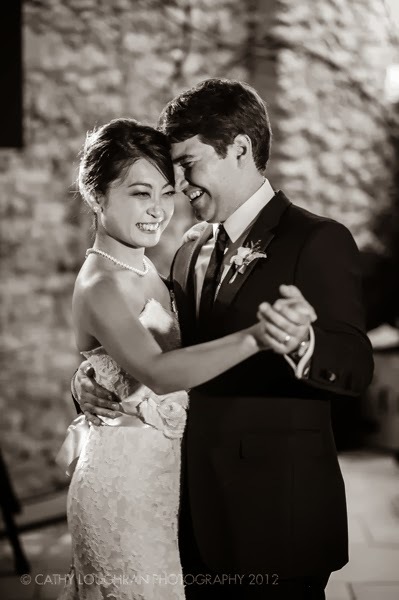 Our thank you and congratulations to the most charming couple, Kumiko and Scott who were not at all difficult to work with, they were an absolute delight and we are thrilled they allowed and trusted us to organise their wonderful time here in Barcelona with their family and friends. 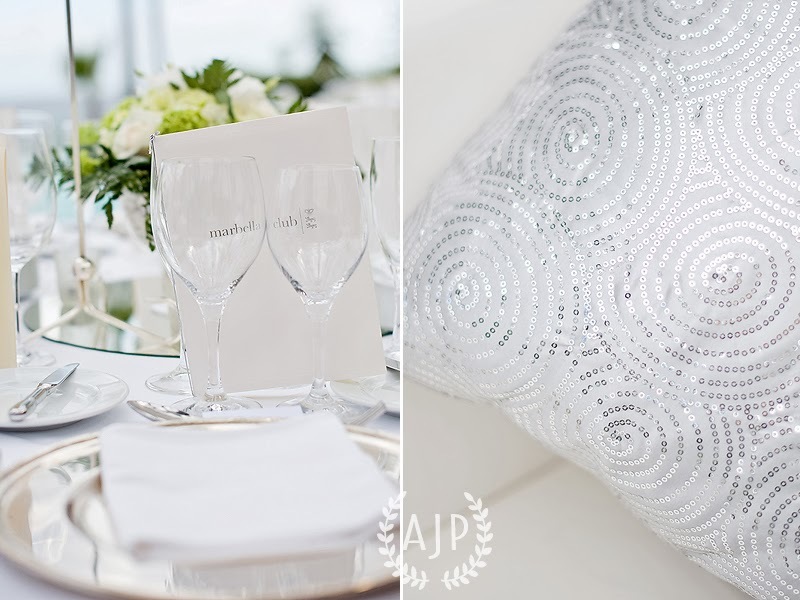 Our thanks also to all the vendors we worked with who work tirelessly to offer a professional service every time and to Cathy Loughran for these lovely images. 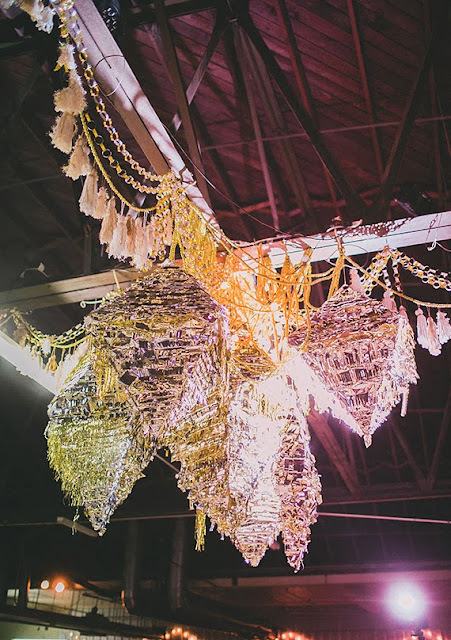 I have read an interesting article today posted by a photographer from the Huffington Post about wedding details and do they matter. It appears NOT and according to this article we are all to ditch Pinterest, close the pages of bridal magazines and god forbid under any circumstance google anything wedding detail related. 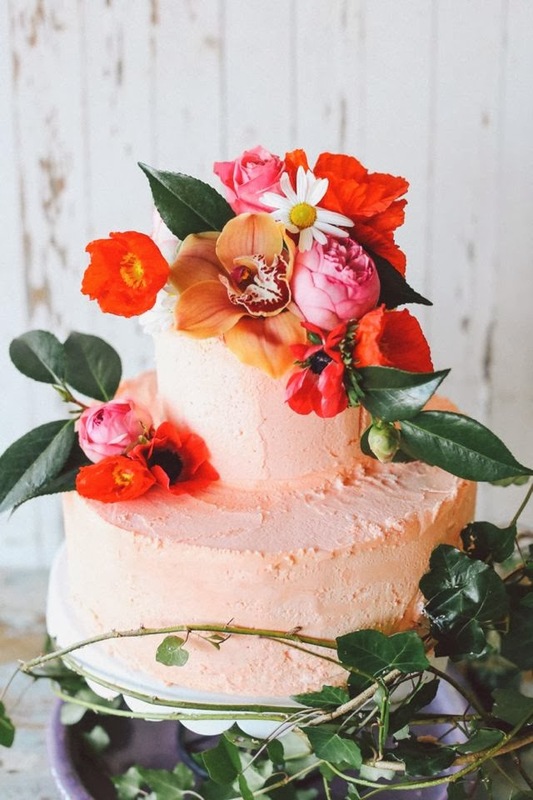 Forget looking for that dream dress as a sack will do and you can of course get married in your favorite sneakers as pretty shoes are a no go and a frozen cheesecake from the local store will be perfect for your wedding cake. Your guests will be more than happy with sausage rolls and coleslaw served on plastic plates and will have fun regardless of the fact you have made no effort at all to pay any attention to any details as it is your love on the day that counts 🙂 Erh I think not but correct me of course if I am wrong. Just the fact you are in love and have your family and close friends with you apparently is enough to have some gorgeous photos and memories of your special day. 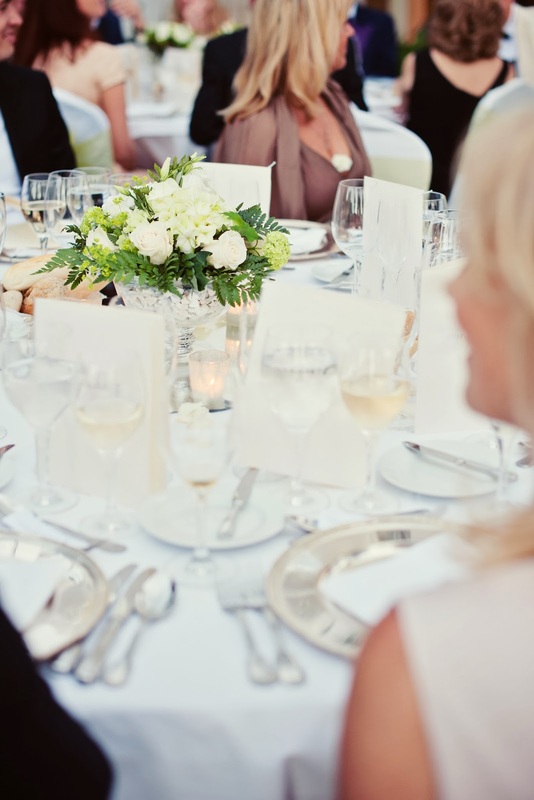 This is fine if you are not hosting a celebratory occasion and of course the love on that day is wonderful but this article has underestimated the very basic principles of hosting a wedding or indeed any special occasion. Putting together this post got me thinking quite seriously about this subject particularly as this is one of our business strengths and what we sell to our clients. Photography is there to tell a story, an account of a fabulous day shared with family and friends and let me be the first to say that the details have no significance in comparison to the commitment being made on the day, but details DO matter which is why we go out of our way to have them. Details are not narcissistic, they are telling a story of the couple, their origins, their style and the fun things they enjoy together. Details are also about ensuring the guests are comfortable from providing shade or heating to good food and entertainment. Details are bringing in the surroundings and cultures from either the country you are hosting your wedding or where you have come from. Whilst it is a love story, it is also a couple sharing their truly special day with their family and friends and hosting one of the biggest events of their lives. Let´s take Christmas as a good example, we have all spent the past month and probably a considerable amount of money, thought, time and effort into decorating our homes and making sure we have plenty of food and drinks in order to have a good time. Perhaps we have also been entertaining family and friends so why would a wedding not be any different? It is a celebratory occasion, it is to celebrate love between a couple who are declaring their commitment to each other but it is also a social affair and a party. It is no different from any other celebration. We do all like the cute flower girl photo sitting under the table covered in wedding cake but without that glorious cake and cute dress this photo would not happen. Yes it is nice to have a photo of granny that may indeed depart us within the year, enjoying herself but we do also love the to die for dress, shoes, jewellery and gorgeous florals. We love the pretty flowers tied with ribbons decorating pew ends and the personalised candle dedicated to loved ones for the ceremony. We heart confetti and cry over personal, meaningful words and poems written on pretty cards for our gorgeous couples by close family and friends. Who does not enjoy sitting at a beautifully presented table with sparkling glassware, polished cutlery, and twinkling candles. There is nothing nicer than well presented food and sharing good wines with friends, this is why we go out to restaurants and hotels or host dinner parties at home, this is what an occasion is about. When I see the photographers overlook these lovely details, it is a shame as it is the details and personalisation of their day that has made that occasion special to the bride and groom and their families. Much money, time and effort goes into planning a wedding that is truly unique to that couple, from the original invitations sent out in the post to the cutting of a gorgeous cake, chinking of glassware with fine champagnes followed by serious dance moves hours later. Whilst is it lovely to see the photos of granny and the cute flower girl that is now grown up and married but it is also lovely to look back at the gorgeous bouquet you carried, your cute cake topper you ordered that looked exactly like you and that fabulous photo with you being rained on by confetti clutching those lovely balloons. Details are what matter, grab the magazines, pour over Google and head over to Pinterest. It is planning the day you have dreamed of to share with your family and friends and if you want some sparkle go for it! I am sure Granny and the cute flower girl will enjoy it to. Happy New Year From Reviva Weddings! Finally we have reached 2014 and would like to wish all our past, present and future clients a wonderful New Year with health, happy times, laughter and love. 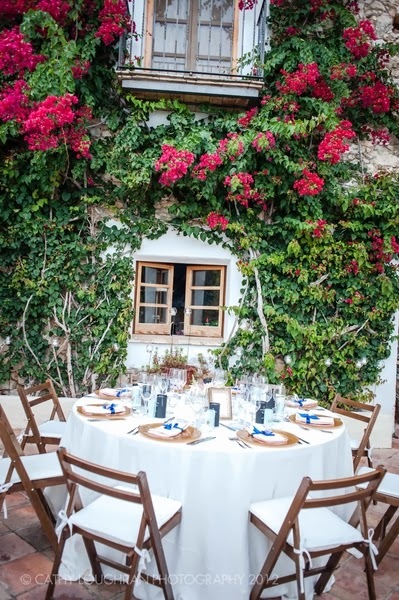 Here at Reviva we are looking forward to our fab weddings we already have booked and are planning for this year and 2015 in many lovely venues all over Spain. We thought it would be a good idea to kick start this New Year off with looking at the trends we are creating for our weddings and to steer you to some fabulous websites we constantly watch for inspiration, advice and giggles. Golds have replaced silvers with a lot of sparkle, always my favourite subject if it involves sequins or glitter, any excuse to shine! We love this gold sequin wedding found on 100 Layer Cake with the gold pinatas and here at Reviva we are prepared for lots of gold glitter in 2014 with our new sequin table runners and gold charger plates. After London was sprinkled with edible confetti last night this will now be big in wedding world for 2014 and who cannot love this idea, whether it will be scoffed before you are supposed to throw it or not will be an interesting observation! 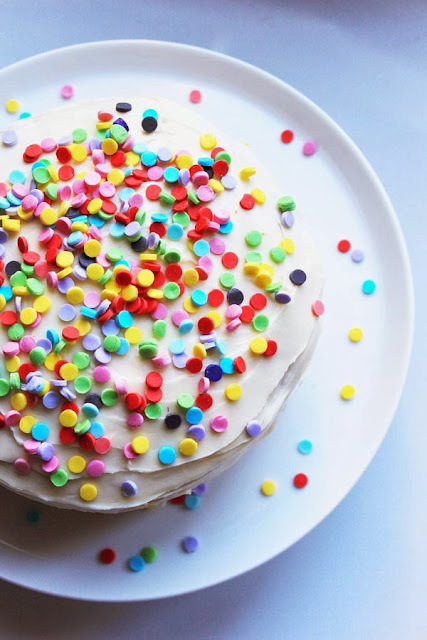 Here is a useful tutorial from Twirling Betty to making your own edible confetti or of course you can purchase it from any good cake supplier. I think throwing small smarties or mini marshmallows could be the way forward! As we head into this exciting year we will share many tips, trends and helpful hints with you in order to help you find inspirations and advice for planning your wedding and to make sure you shine and sparkle. Do follow our Facebook page to keep up with our latest posts too!